I had the privilege of hosting HUDDLE, one of the largest entrepreneurship events in Asia. The event which took place in Kerala attracted a lot of new-age entrepreneurs with innovative ideas. Chennai: One of the glaring things that stood out for me is the increasing use of technologies such as Machine Learning, Artificial Intelligence, Internet of Things and Blockchain as a way to get to innovative solutions for everyday problems. The experts on stage were particularly gung-ho about blockchain. Much like how the emergence of Internet fundamentally changed our lives, blockchain is expended to bring out a huge shift. This column will give a little deeper into making sense of what it is, its use cases and how this will positively impact us in the days to come. A blockchain is a digitised, decentralised, public ledger of all cryptocurrency transactions. By allowing digital information to be distributed but not copied, blockchain technology created the backbone of a new type of Internet. Originally devised for the digital currency, Bitcoin, the tech community is now finding other potential uses for the technology. Currently, most people use a trusted middleman such as a bank to make a transaction. But blockchain allows consumers and suppliers to connect directly, removing the need for a third party. Blockchain removes the middlemen. 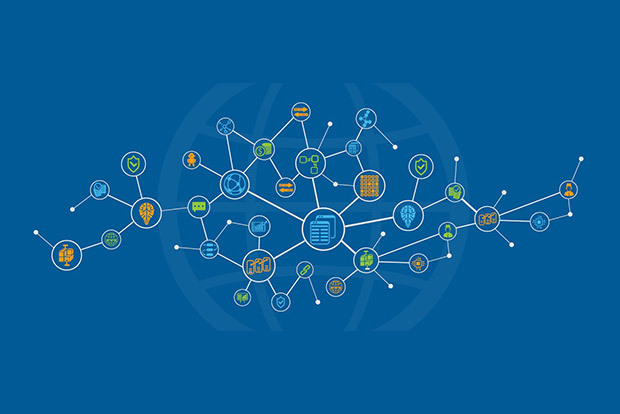 Blockchain may be small right now (it accounts for 0.025% or US$ 20 Billion) of the global GDP but it is expected that its adoption will be rapid in the coming years as more and more people will begin to use it. In the next couple of years, pretty much anyone with access to the Internet can use it to make transactions. That is because, Blockchain helps reduce fraud by ensuring that every transaction is transparent, recorded and distributed on a public ledger for anyone to see. Removing fraud in elections: India being the world’s largest democracy, blockchain will play a critical role in a fair and clean election. India has successfully moved from paper ballots (which countries like the US still use) to electronic ballets. Yet, electronic voting can be susceptible to tampering. Blockchain voting technology is verifiable and would allow anybody to verify and audit them to confirm that the votes are legitimate. Proof of ownership: Blockchain will help cut down frauds in the real estate transactions which currently is mired in opaqueness. Any land or property that has been bought can easily be tracked via blockchain and the owner can demonstrate the proof of ownership. This will stop fraudsters from selling the same property to multiple people or avoid people from usurping others’ property. Crowdfunding: Many startups are now using cryptocurrencies in order to fund their ideas, services, and products. Instead of using traditional Venture Capital funding which can be difficult to get, or using crowdfunding websites such as Kickstarter or IndieGoGo, startup leaders are looking to cryptocurrency as a way to raise money for what they need. Because it’s easy to track and obtain money this way, it’s revolutionizing the entire fund-raising process. Business ethics: The good thing about blockchain is that it makes it possible to track every single transaction with complete transparency. This means that any fraud in business transactions can easily be caught. This will massively improve the way businesses are conducted.